Small buyers of precious and semi-precious metals may only require a balance or bench scale. Other non-ferrous metals dealers for aluminum, copper and brass/bronze need floor scales to weigh their quantity of scrap. And larger scales to handle the output from their crusher. Ferrous metal recycling is a high volume business that requires equipment rugged enough to withstand the industry rigors of accurately weighing tons of metal daily both incoming and outgoing. The scale is your cash register documenting all purchases and sales. If it is not working your company could be shut down until repairs are made. Plus, the seller will take his load to another buyer. Large operations incorporate crane and loader scales into their operations. This allows loading of trucks and railcars to prevent the need to re-work overweight vehicles while achieving maximum load weights in the shortest period of time. All scales can be tied to a central processing systems automating the data processing while cutting down on entry errors and paperwork. Systems can even be configured to notify purchasers when loads are ready. Waste recycling centers separate out various materials of value or that can be repurposed. These centers can increase efficiency by implementing forklift scales into the operation. Mobile scales can significantly reduce the transit time needed to transport the product to a static weighing station. Critical information can be input into the scale via barcode/QR scanners. 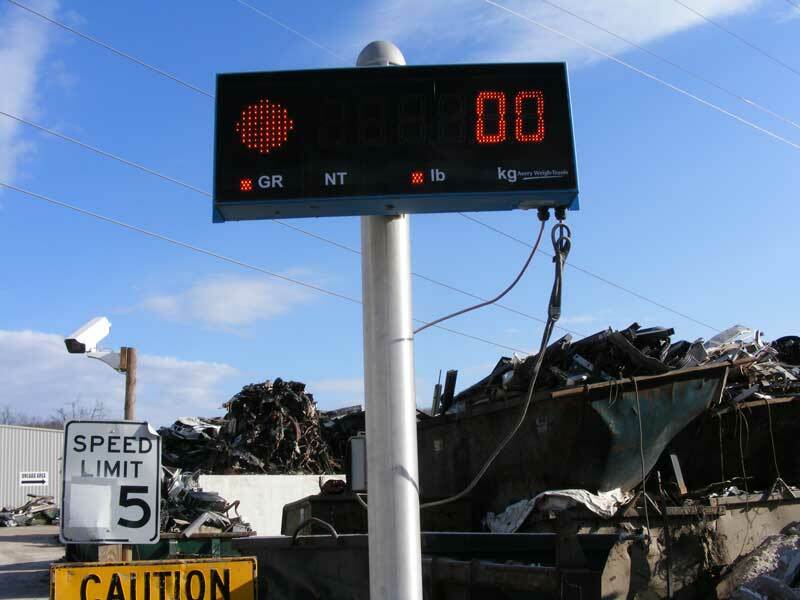 Refining efficiency plus the NTEP approved scales are at least four-fold more accurate than a truck scale improving your bottom-line. Instrumentation can record all the daily transactions and transmit the data to another computer system via flexible connectivity options including Wi-Fi, Bluetooth and RF. Saving time by eliminating manual data entry by allowing audit reporting, statement and payment generation. Adding accessories such as remote displays, wireless handhelds and printers further streamlines your process and increases customer satisfaction that the ‘RIGHT WEIGH’ was determined.